• Third-quarter 2017 revenue of €3,925.0 million, up 23.2% as reported and 28.4% on a comparable basis. • Well-balanced contribution from all regions. • Very strong third-quarter 2017 (up 32.3% on a comparable basis), particularly for Gucci (up 49.4% on a comparable basis) and Yves Saint Laurent (up 22.2% on a comparable basis). • Double-digit growth for Other Luxury brands, in both Couture & Leather Goods and Watches & Jewellery. Sharp acceleration at Balenciaga. • Sustained growth across all regions and through all distribution channels, with revenue up 36.8% for directly operated stores. • Revenue up 15.9% on a comparable basis and across all key regions. • Another quarter of strong revenue for Puma, up 17.3% on a comparable basis, led by the brand’s excellent growth momentum in all product categories. 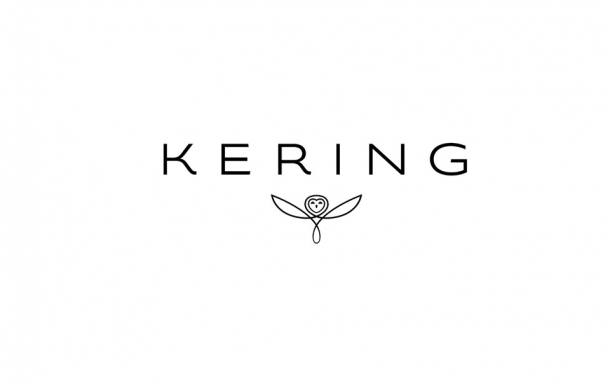 Kering's Luxury activities enjoyed another period of very strong growth in the third quarter of 2017, with revenue up 26.6% as reported, and 32.3% based on a comparable Group structure and exchange rates, to stand at €2,677.8 million. The acceleration in Luxury sales was driven by Kering's network of directly operated stores (up 36.8% on a comparable basis). Online sales expanded by nearly 80%, and appeal for the Group's luxury fashion houses was strong with both local customers and tourists from all nationalities, and in all regions. Wholesale distribution also enjoyed robust growth of 21.7%, with substantial contributions from Gucci, Yves Saint Laurent and Balenciaga. Gucci delivered another spectacular increase in revenue for the third quarter of 2017, up 42.8% as reported and 49.4% on a comparable basis to €1,553.8 million. The unique creative universe inspired by Alessandro Michele and Gucci's ability to constantly innovate allow the brand to continue to attract broader and increasingly diverse clientele segments, attesting to the development of a sustainable growth model. Now accounting for 82.7% of Gucci revenue, sales in directly operated stores increased 50.9% and across all nationalities and regions. All product categories enjoyed double-digit growth, from Men's and Women's collections, and from established and new lines. Online sales posted triple-digit growth. Wholesale increased 43.9% in the quarter, largely reflecting the success of the Autumn/Winter 2017 collection in that channel. Gucci continues to invest in marketing and communications and in its supply chain in order to maintain its growth momentum. Sales for Bottega Veneta came in at €280.7 million in the third quarter of 2017, down 4.5% as reported and up 0.9% on a comparable basis. Accounting for 84.5% of the total, sales across the directly operated network increased 2.8% on a comparable basis and were driven by all key product categories. Ready-to-Wear and Shoes – Men's and Women's – confirmed the positive trends seen in recent quarters, and the increase in revenue for Leather Goods reflected the success of its new collections. Bottega Veneta, whose last shows have been widely praised, is continuing to invest in communications and digital marketing to strengthen its ties with existing customers and Millennials. The Maison also continued to adapt its network of stores to reinforce its exclusive positioning. Yves Saint Laurent kept up its very strong growth momentum in the third quarter of 2017. Sales for the period amounted to €383.7 million, up 17.7% as reported and 22.2% on a comparable basis. The increase in revenue was balanced between distribution channels: revenue generated by directly operated stores rose 21.1% on a comparable basis, fueled by all key regions, and Wholesale increased 23.4%. Online sales also continued to grow at a rapid pace. Fall-Winter 2017 collections from Anthony Vaccarello are a resounding success driving the sales of Ready-to-wear and supporting the growth of Accessories, which remains strong. The Summer 2018 show held on September 26 in Paris was met with unanimous acclaim. At €459.6 million, revenue for Kering’s Other Luxury brands was up 13.0% as reported and 17.0% on a comparable basis. For Couture & Leather Goods, the strong 19.3% increase in sales on a comparable basis, notably in directly operated stores, was led by an excellent performance from Balenciaga. Ready-to-Wear and Shoes fared exceptionally well across all regions. The warm reception of the latest Spring/Summer show from Demna Gvasalia once again strengthened the appeal of the brand, which has recently opened a new flagship store on Avenue Montaigne in Paris. All other Couture & Leather Goods brands saw an increase in sales in their directly operated stores. With new collections and reworked iconic lines, luxury Jewellery brands also posted solid growth. Boucheron, Pomellato, Dodo and Qeelin performed well, both across their directly operated networks and in Wholesale distribution channels. Watchmakers enjoyed very encouraging growth over the quarter. The new models launched by Girard-Perregaux and Ulysse Nardin were very well received among customers, particularly in Western Europe and the Middle East. Sport & Lifestyle activities continued on their growth trajectory, with revenue advancing 11.9% as reported and 15.9% on a comparable basis. Puma delivered another excellent performance for the quarter, with double-digit growth on a comparable basis across all key regions. Revenue for the brand rose by 13.2% as reported and by 17.3% on a comparable basis to €1,125.7 million. The brand also fared well in all distribution channels, with robust growth across all product categories, notably Shoes (23.2% on a comparable basis) and Accessories (23.8% on a comparable basis). Puma continued to launch new innovative product collections (such as the new Puma One collection), and recent products continued to meet with success over the quarter (Tsugi, Basket Heart, Ignite Limitless). The brand also recently announced its partnership with singer, actress and social media icon, Selena Gomez. Conversely, Volcom's performance continued to be hampered by the challenges faced by specialist distributors in the US.